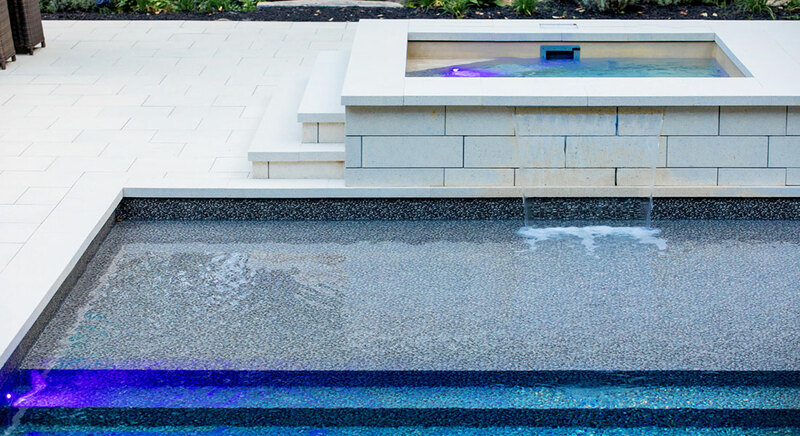 Swipe below to view our custom pool & landscaping results. 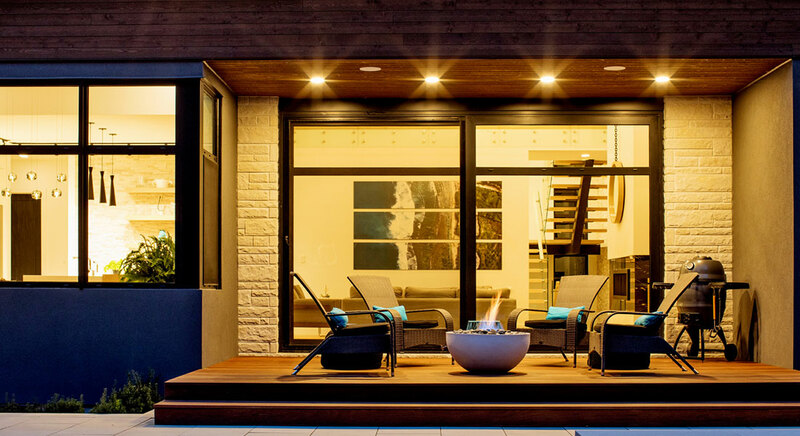 The owners of this property wanted a more modern pool style, with a backyard landscape to naturally connected the yard and the pool into a backyard escape. 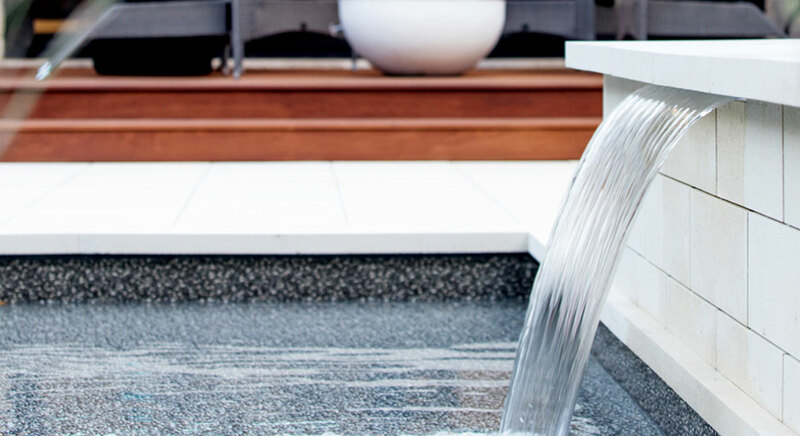 During our initial visit to the location, we immediately saw the potential in using an integrated pool with a spa feature to compliment the natural backdrop of the property. 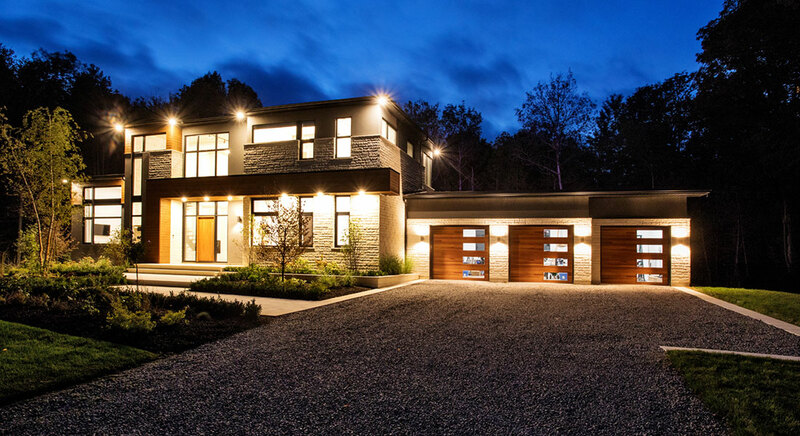 In order to accomplish this, we went to great lengths to keep the cohesion and elegance of the property. The Pool, Spa, and Patio areas were all built with the purpose of complimenting the house style to ensure the same look and feel. Bringing in a steel staircase with a vinyl overlay, it welcomes swimmers into the 18×42 vinyl pool while the 8×8 fibreglass spa and custom tanning bed provide unparalleled relaxation. 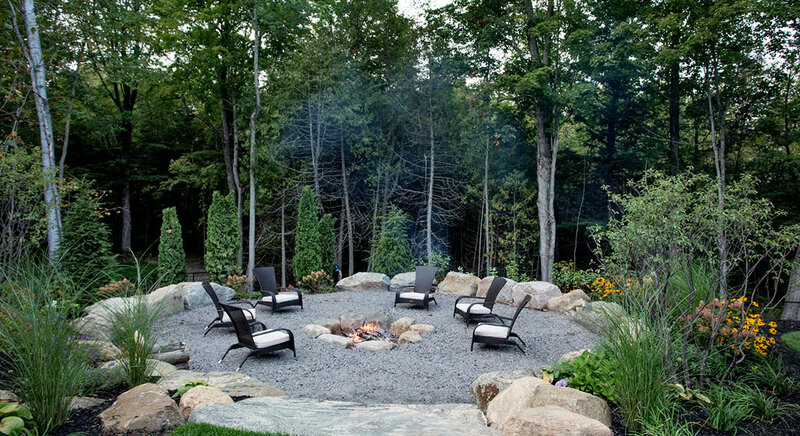 These were then tied together with plantings, new walls and a fire pit – bringing forward a more natural feeling in the yard while tying the pool and landscaping elements together. On a technical side, many steps were taken to ensure the quality of this project. The property grade was brought up by several feet and engineered for security and fit. 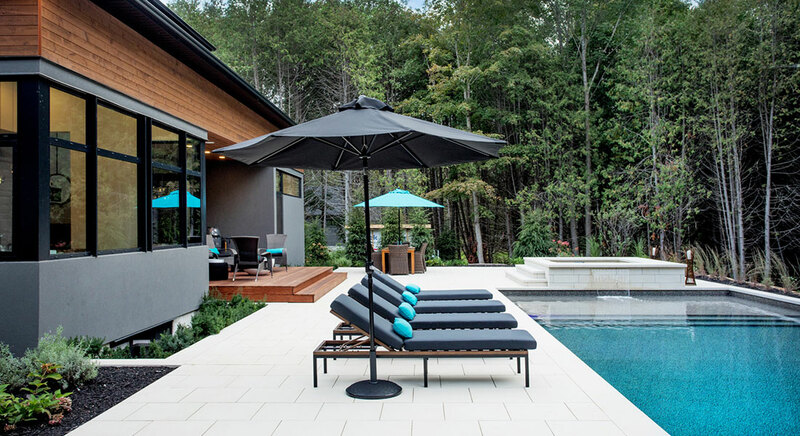 Sightlines were kept intact with custom pool shed & equipment sizes – enclosed with matching fencing heights to create a perfect picture of a hidden oasis that feels like an open area. Now this family can host and relax in their beautiful backyard escape and enjoy the benefit of automated equipment throughout.